Mt. 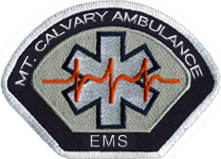 Calvary Ambulance currently covers 158 square miles, servicing a population of 9,965. In 1973, a committee was form at the old Fire House at that time located in the middle of Mt Calvary. The committee consisted of two people from the Village of Mt. Calvary, LeRoy Schneider and Gerald Bord. Two people from the Town of Marshfield- Jim Schaefer and Vic Steffes, and three people from the Fire Department- Vernon Abler, Max Atkinson and Earl Morgan. With the help of Dan Sonnergard, a City of Fond du Lac Officer, a decision was made to come together and form an Ambulance Service. Numerous meetings were held and with share input from other service such as Ripon’s, Waupun’s Campbellsport and Kewaskum, it was possible to form the local service. All firemen were asked if they’d like to go to school to be certified EMT’s. Schooling was for 36 weeks, 3 hours per day. Seven men volunteered. A new ambulance was purchased with subsidy from six municipalities, Fond du Lac County, and tax revenue. The next groups to be certified as EMT’s were men and women. This was completely a volunteer service. On February 2, 1974 the Joint Ambulance Commission of the Village of Mt Calvary and the Town of Marshfield were form, servicing the districts of the Village of Mt Calvary, the Town of Marshfield, Town of Calumet, Town of Forest, Town of Empire, Town of Taycheedah, and Village of St. Cloud. Fond du Lac County gave the Commission $1,400 to help start the Service. It wasn’t until 1983, that the records show, these volunteers received a wage and a stipend. EMT’s received $ .50 per hour and $7.00 per patient and the driver received $ .50 per hour and $2.00 per patient. Since those humble beginnings, the Service has come a long way. 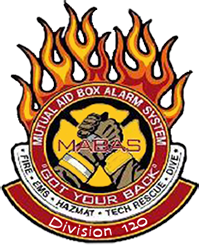 With leadership, new equipment and highly skilled emergency medical personnel and drivers, we have become what we are today.